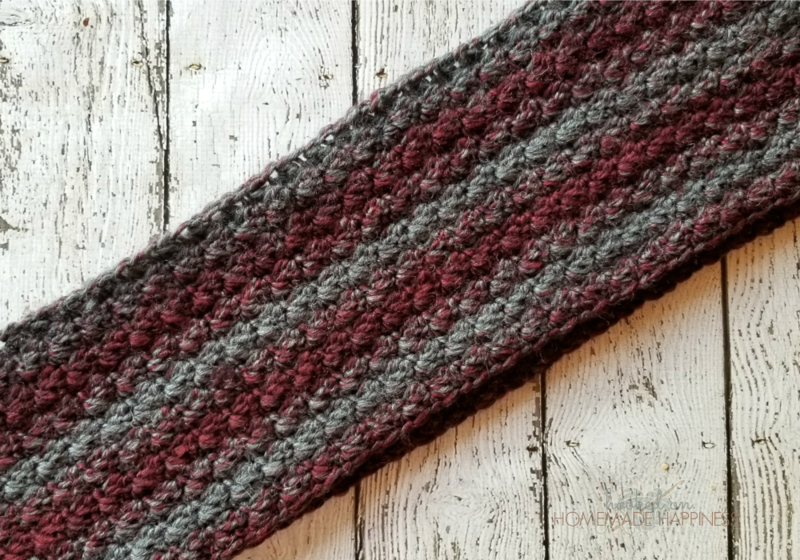 Wrap yourself in this easy and beautiful Claret Infinity Crochet Scarf Pattern. 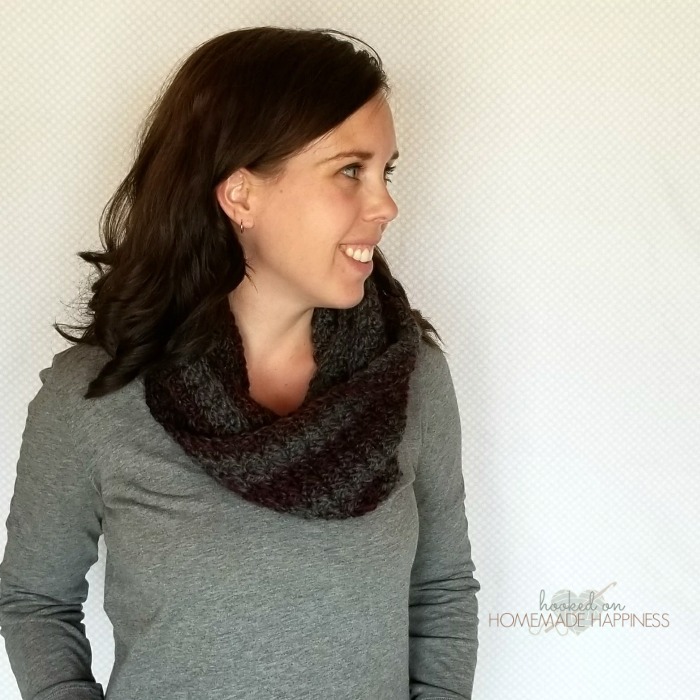 I used the Suzette Stitch; the ease and texture of this stitch makes it one of my favorite stitches. You can find a detailed photo tutorial of this stitch HERE. Isn’t the texture amazing? All done with basic crochet stitches, a single crochet and double crochet. 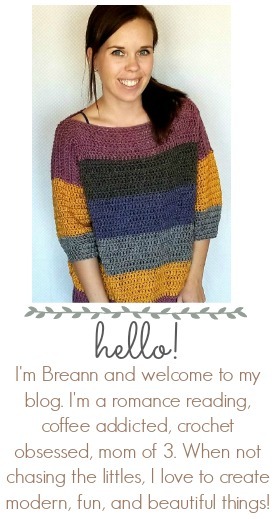 I used one skein of Lion Brand Scarfie yarn for this pattern. 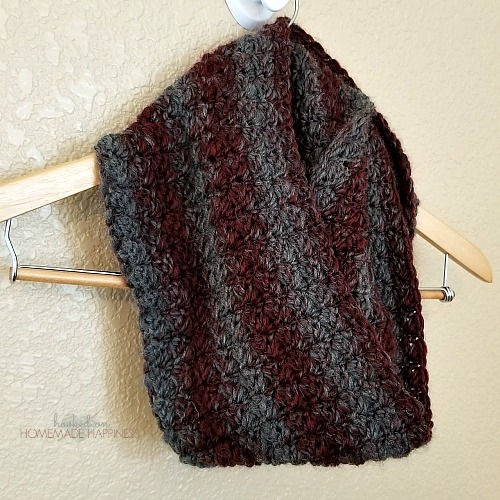 I love the all the color choices in the scarfie yarn, but I was particularly drown to the burgundy and gray colorway in this skein. Bring both ends together, using the long tail and your yarn needle, whipstitch both ends together. Just finished mine! Thank you so much for this beautiful and easy-to-follow pattern.